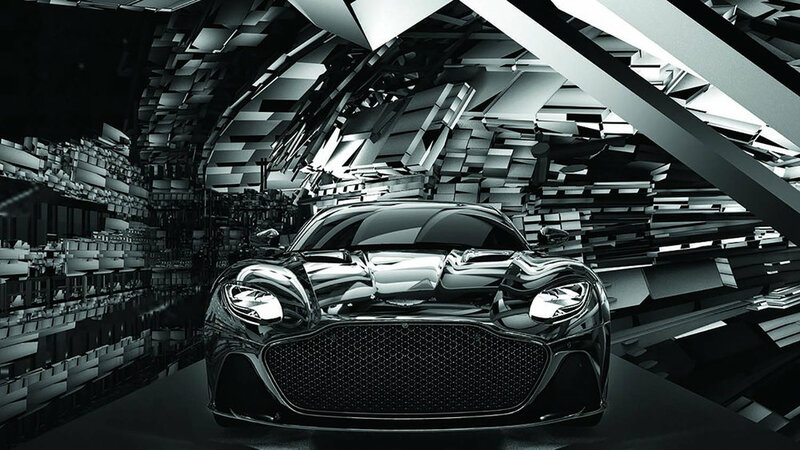 The new Aston Martin DBS Superleggera has made its debut with a starring role in a new film by the innovative photographer and filmmaker Nick Knight. Placed centre stage amidst a bold piece of contemporary cinematic art, the DBS Superleggera’s poise and power are vividly re-imagined through Knight’s unique vision. Nick Knight is a long-standing Aston Martin owner, combines his mastery of image-making technology with a unique eye for portraiture, still life, fashion photography and the moving image. Working with the SHOWstudio creative team, who together have built up an impressive portfolio of fashion films, bringing together modern and traditional techniques to create a bold new aesthetic. Knight has collaborated with many of the world’s most pioneering fashion brands, including Alexander McQueen, Jil Sander, and Christian Dior. His modern baroque imagery has redefined fashion photography, bringing the genre into the modern age. The DBS Superleggera is Aston Martin’s flagship, a super GT that pushes the boundaries of performance and design. It's been brought to life through Knight’s original use of photography and CGI, and the shoot was produced by PRETTYBIRD. A location shoot in a former steelworks provided key shots, environments and backgrounds, which were then blended in to Knight’s trademark post-production. A hugely complex 3D model of the DBS Superleggera was then animated, with dynamic reflections that morph and flex in time with the soundtrack. Fast-changing angles, ‘impossible’ computer generated camera moves and perspective shifts convey a sense of speed and power, with the DBS Superleggera bursting from this kaleidoscopic array of dynamic animated forms. Animation and reflection creates a sparkling and futuristic monochrome landscape that appears to shift and melt around the car.